Remember when I posted on my Facebook Fan Page this photo? My phone's a Samsung Omnia. I took ninja photos inside the car, so the lighting varies :( Here are two photos I got from last June 12. I don't know why my skin tone varies.. oh well. Here's what Human Heart Nature had to say about their product: "Do you believe in miracles in bottles? Feel the years fall away as our gold elixir works its magic. Helps minimize dark circles and stretchmarks, lighten and brighten underarms and even add healthy-looking shine on hair. No wonder Sunflowers are known as the Happy Flowers for the joy they bring! 100% No Harmful Chemicals: No parabens, pthalates, PEGs, mineral oil or other toxic substances. Only the good!" Ingredients: premium cosmetic grade Helianthus Annuus (Sunflower) oil. I am such a lipstick person so I try my best to give my lips a break from all the chemicals and residue other lipsticks leave me with. and my most favorite of 'em all miracles, healing scars! Here's a photo of my then popular leg scar due to my dog, Santa, pouncing on me. >_< Photos taken using Canon powershot. I know what you're thinking: @_@ ! Anyway, here's a shot of my thigh now. Literally I took a photo now for the sake of sharing with you a quality months after shot--although may I say, my thighs have been like this earlier than September so the effects are more rapid than it seems. It just so happens that I'm posting the feature now because I've been busy, sorry! 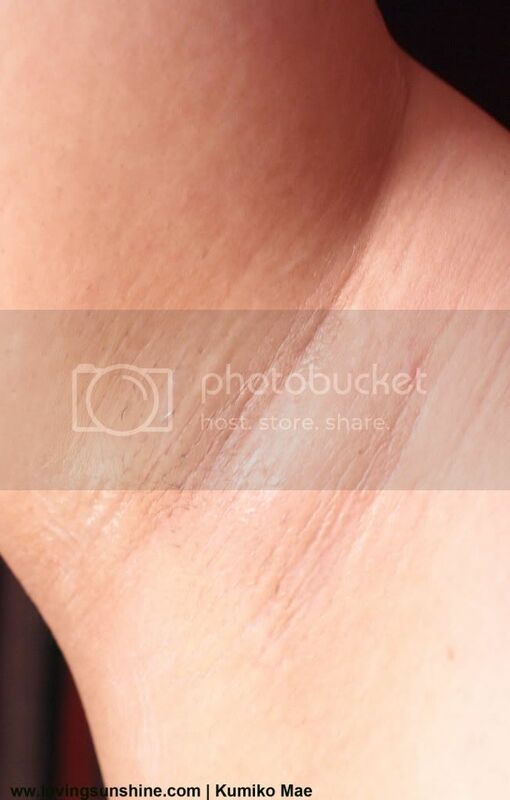 No more watermark or anything, I don't think anyone would steal this thigh shot haha. Photo taken using Comet. How about you? What are your miracle stories on Human Heart Nature's Sunflower Beauty Oil? Have you tried it yet? "To all asking, we sell that at our store. :D I posted this not for selling, but since I receive so much inquiry on where to get, I decided I have to be open to selling it too. I didnt want at first cause you might think I'm sales-talking but I hope the pics spoke for themselves. :D Interested buyers (international is okay :p) or BEAUTY SWAPPERS may email me at kumikomae@lovingsunshine.com"
seems like a good product as it works well on you even though you don't regularly use it!! your so brave talaga anak! I want to try it din. oh wow what kind of dog do you have? WOAH, OMG! That oil is AMAZING!!!!!!! 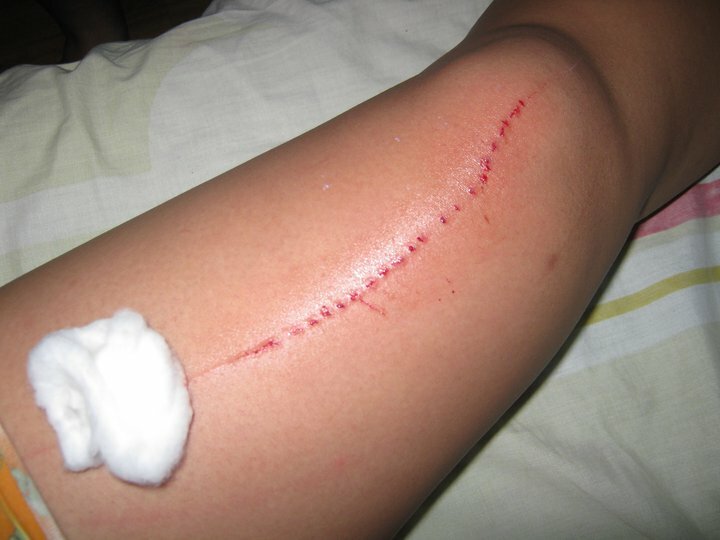 I'm really shocked by how good the scar on your thigh heeled. It's amazing, but it must've hurt when you got pounced on! Wow, I've not heard of this product before. Sounds really good. Thanks so much for sharing"
Hey Kumiko, that's great ! Unfortunately, I'm not Spanish, but Portuguese : ) I don't know Spanish either, sorry to disapoint you ! wow!! such a great product hun!! your scar looks really painful, i'm glad that it's okay now.. that oil is amazing huh.. i just bought some human nature products.. anyway, i'll try to get some of that next time!! thank you for sharing. take care! mmuah! btw do u wax ur underarms or something else? 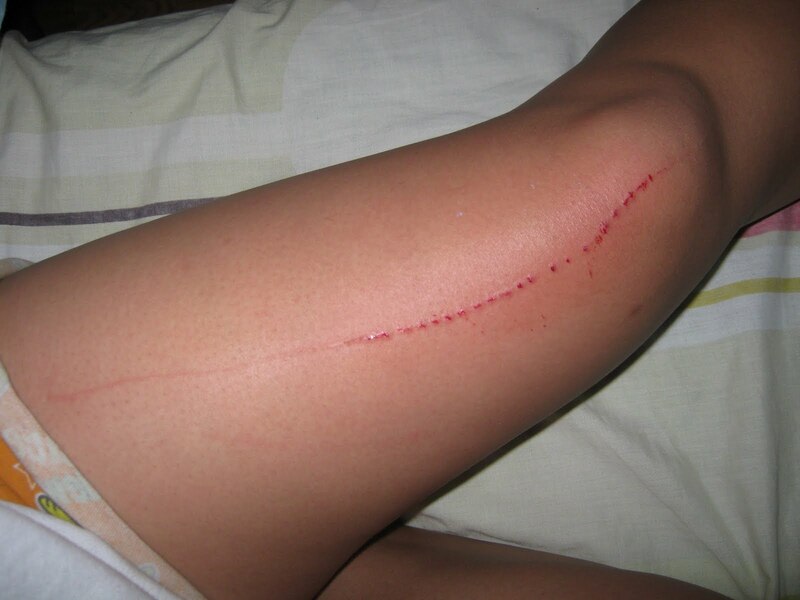 I'm so glad that scar from your dog healed! It looks great now. wow, i have to try that oil! I also swear by HN's sunflower oil! It really did even out the color of my lips!! I also use it on my dark cirles around the eyes and on my wrinkles (due to stressed skin - eyeliner, etc). Lol. super natetempt ako bumili!!! wahhhhh bi ka din kumi.. hahaha magwawaldas ako ng pera ulit ng wala sa oras haha i want the snoe sunblock din!! Aaaaah! This is the answer to my armpit problems! Thank you Kumi for sharing! I'm buying ASAP! Great product review! Made it really convincing with those photos! Super like! May I please share this to my friends thru my humanheartnature page? thank u. Ask ko lang if okay lang din ba gamitin yung sunflower oil while using another brand ng deo? Hmmmm....I wonder if this will work for my psoraisis? 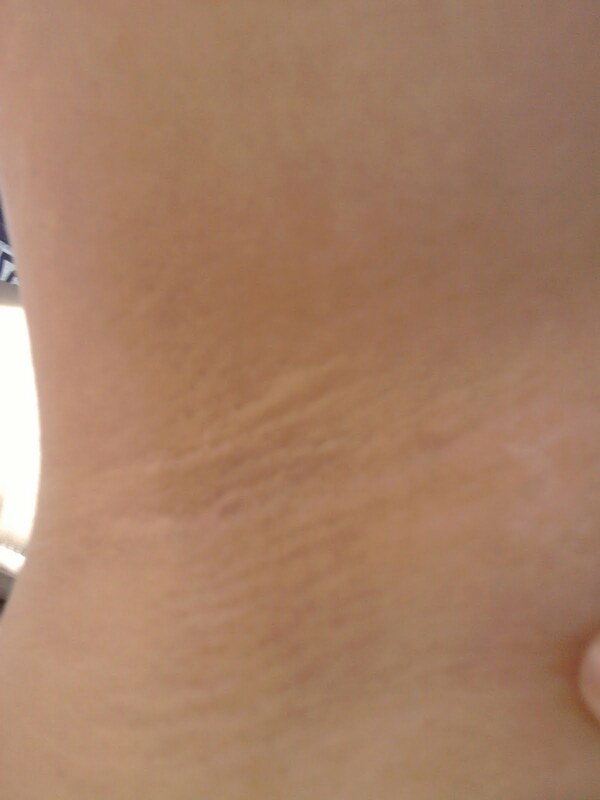 I have a wife and after she gave birth there are some stretch marks that appeared in her armpit and to his belly. My friend told my wife to use MicrodermMD by applying it on the area which has a stretch mark then after a month we've noticed that it is effective and her natural skin is back to normal again. you're soo brave for showing us your photos! thanks! hi!! i already use it!! it works for me.. :D nice review..
Hello everyone, thanks for the comments and I'm happy you found this post helpful and interesting! This is a very in-depth account. I didn't bother to write about it coz I didn't have photos to show for but I experienced the same thing with my armpits (and elbows). I think this might also help with preventing post acne marks. But I haven't tried that particular purpose but I used to use a moisturize composed mostly of sunflower oil and I never got post acne marks. Ever. I know this is a very ooooold post. But I just had to ask this. Do you apply this oil before applying your deo or after? or is it just good for a nightly routine?